Wait . . . why does the chimney smell like two stroke? It isnâ€™t too late to give Scooter Swag for Christmas! 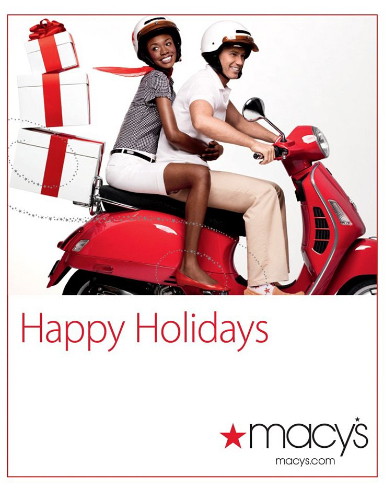 Get online now to send someone an e-card from Macyâ€™s through their e-mail. You can make the card for any amount. This entry was posted in Holiday, Miscellaneous and tagged christmas, gift card, Holiday, macy's, vespa by Tracy. Bookmark the permalink.